Prior to cofounding Main Virtual Office, I was working with MasterCard and a company that managed the websites for 8 of the 10 largest Internet retailers, including Walmart, Target, and Home Depot. These retailers get 10’s of millions of unique monthly visitors to their websites from their marketing efforts. Yet, even the most successful of them convert less than 5% of them to customers. They continuously refine what is presented online to their visitors, in an effort to increase their conversion rates. This is called personalization. As anyone who has ever experienced LL Bean will tell you, a personalized experience is what everyone is looking for when they have made the decision to buy. The decision to purchase something is an emotional decision, and people want to be paid attention to when they decide to do it. 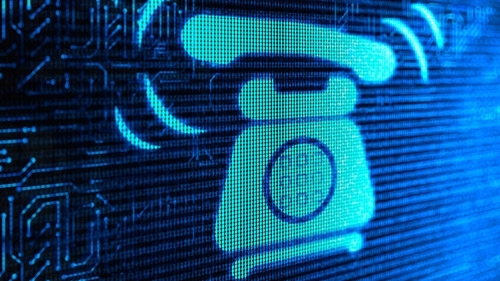 In the early 2000s, with the advent of voice over internet protocol (VOIP), several companies including Grand Central (now Google Voice), Ring Central, and GotVmail (now Grasshopper) began offering “virtual” phone services for small businesses. They issued 800 and local numbers, allowed their users to record answering and voice mail greetings, program call forwarding, and send voicemails via email as wav files. While this worked really well for these entrepreneurs, it didn’t work so well for their customers. Ultimately, most callers are sent to voice mail and many studies show more than 80% will hang up when that happens. Now, with the number of solopreneurs estimated at 1 in 3 workers (45 million) and projected to be half the work force (70 million) by 2020, very small businesses are facing competition like never before. Those that choose to rely on voice mail for incoming new customer leads are literally committing suicide. With every call potentially being a new customer, small businesses really cannot afford to lose even one. The good news is that small business virtual answering services are entering a renaissance. This in turn can a give a small entrepreneur some control back on managing their inbound telephone leads. A live person and personalized, informed and friendly attention to a caller can deliver even better results than the millions of dollars retailers spend on gathering your online data, personalizing your web browsing experience on their site and reducing the online checkout friction. How this new answering service market develops will be interesting to watch, as more than 80% of answering services in the US have built their systems on top of the 134 year old circuit/switch, public telephone network, which is slated to be completely transitioned to VOIP by 2018. Once lead engineer on the cleanup of the nation’s worst hazardous waste disposal sites, Jim Plunkett entered the digital world in 1999, co-founding Vacation Harbor, a travel website much like AirB&B. As cofounder of Main Virtual Office recently rebranded US Answer and as founder of SmallBizSEO, Jim is an authority on digital lead generation and capture for the nations smallest businesses.